In our eBook Beyond the Edge, Jamie Young, PrecisionHawk’s Director of LiDAR Services, shares how businesses can use drone-based LiDAR to transform their aerial intelligence. Read it now. Jamie Young was a programmer for the government when he saw a posting to be a LiDAR specialist in the late 1980s. “My world changed when I clicked that link,” Young said. Today, Young is one of the world’s foremost leaders in LiDAR sensors. He holds leadership roles at ASPRS (American Society for Photogrammetry and Remote Sensing) and CO-MAPPS (Colorado State Chapter of the Management Association of Professional Photogrammetric Surveyors). He is also the technical advisor and contributing author for LiDAR Magazine, author of the book ‘LiDAR for Dummies’ and creator of the popular Wilder LiDAR blog. One of his favorite things about working at PrecisionHawk is the ability to make a difference in people’s lives and effect change. He recently worked with the City of Baton Rouge to proactively solve flooding issues. In order for a U.S. city to receive funding from FEMA to clear debris from drainage ways after a storm, the city has to prove the debris wasn't there prior to flooding. 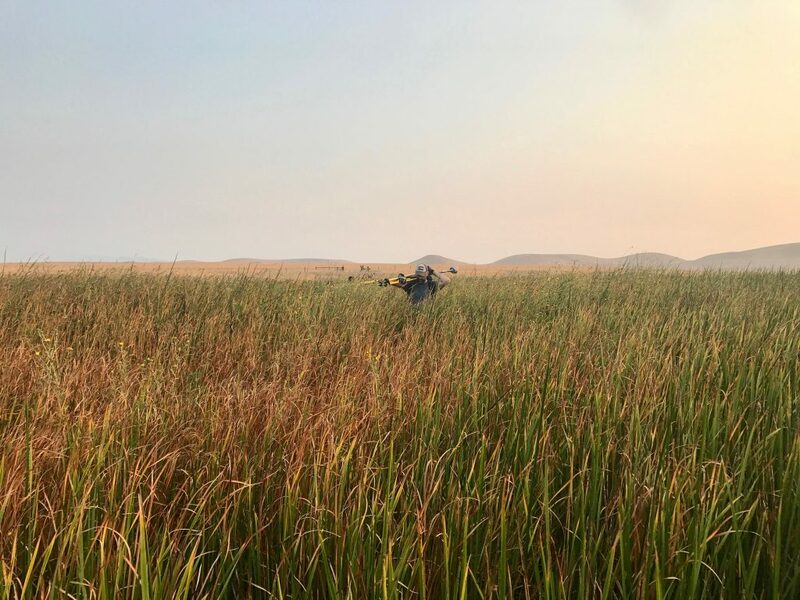 Young and his team were able to monitor Baton Rouge’s waterway systems with LiDAR equipped drones, providing the data needed to ensure future disaster relief. The data also allowed Baton Rouge to check the elevation of bridges to make sure there was enough clearance underneath them. Throughout his career, Young has solved similar issues all over the world for businesses and organizations alike. One of his favorite past projects was when his team flew at the High Speed Test Track at the Holloman Air Force Base in New Mexico to help scope the area for a new magnetic track. “When we got there, all of the stealth bombers took off. They were still classified at that time,” Young remembered. Some of his other favorite projects include mapping sand bars at the Grand Canyon to help maintain fish habitat, flying over the Tetons at Yellowstone National Park, and mapping much of Alaska’s national forests. In a trip to Egypt, he trained the Egyptian Ministry of Remote Sensing on how to collect and process LiDAR. He has also appeared in two episodes of the History Channel television series ‘America Unearthed’, where he used LiDAR technology to map ruins in Georgia and Missouri. In our eBook Beyond the Edge, Jamie Young, PrecisionHawk’s Director of LiDAR Services, shares how businesses can use drone-based LiDAR to transform their aerial intelligence. Read it now. Or speak with him today. 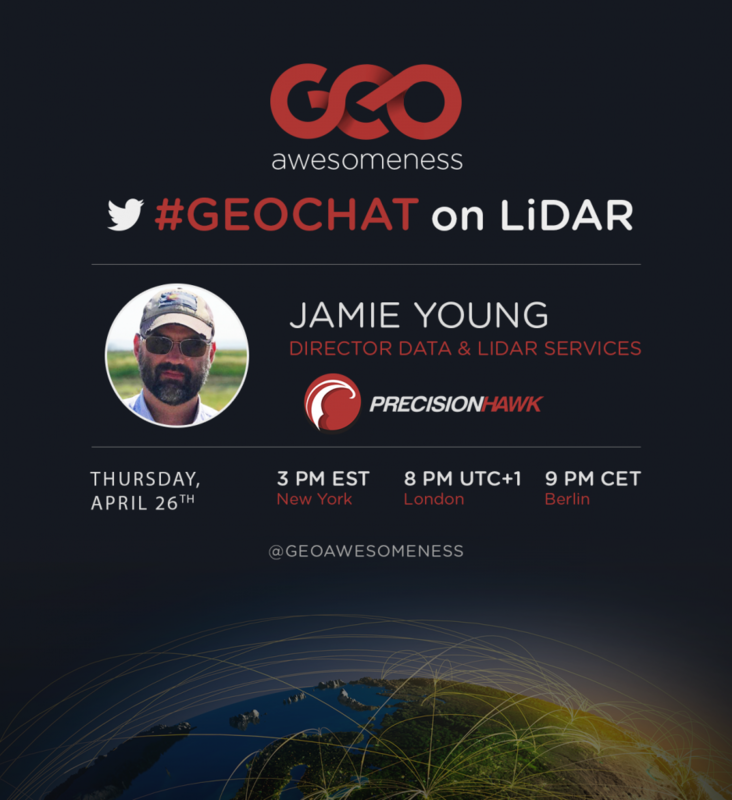 Also, tune in to #GeoChat on Twitter to catch Jamie's conversation with GeoAwesomeness, April 26th at 3 p.m. ET.